The Marriott SpringHill Suites Salt Lake City/South Jordan is the first hotel in the South Jordan area. 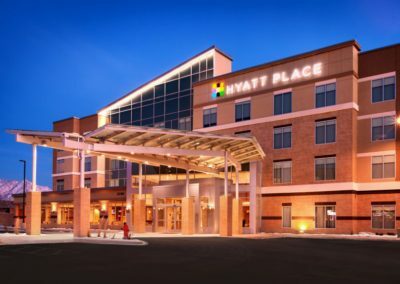 Whether you are visiting the area on business or as part of a group, traveling to attend a wedding, or visiting the Oquirrh Mountain LDS Temple, our hotel is the perfect choice. We are also the perfect location for visiting family and friends in Daybreak and other South Jordan communities. We are the most convenient location to several nearby medical centers, including the South Jordan Health Center (University Hospital and Huntsman Cancer Institute) and the Jordan Valley Hospital. The hotel is within walking distance to the “The District” which is home to shopping, MegaPlex 20 theatre, chain, and upscale dining. It is a quick drive to SLC international airport, downtown Salt Lake, Park City, Cottonwood Canyons, and the Kennecott Copper Mine..
2019 © Sequoia Development Inc. All Rights Reserved.